Detective Briony Williams is a rookie appointed to an all-male team investigating a bizarre murder at an anatomy college in Bloomsbury. Her superiors constantly make her feel left out. But a killer obsessed with following Jack the Ripper soon changes that. The killer is a practiced anatomist with a theatrical streak. He arranges his victims bodies in cruel parodies of famous satirical engravings by Hogarth. As the summer and the swinging '60s wind to a terrible climax, this multi-layered thriller brings the startling and terrible strands of the story together. The Walker is an unforgettable crime debut that heralds a major new voice in crime writing. ©2005 Jane Goodall (P)2005 Bolinda Publishing Pty. Ltd. The Walker what a gripping experience!! I just couldn't stop listening even though I was almost scared witless. Strange to think of a historical novel set in 60's England, but Goodall does an excellent job of recreating the feel of a time and place. A serial killer (and yes, the term was actually coined in England way before it became popular in the US) is recreating works of art in blood and bone, but it is up to the Metropolitan Police to catch him. I've tried to find other crime novels written by this author but have failed but I hope there are more to come. The reader is excellent by the way. This is an excellent, satisfying mystery, and it is expertly read. The author, Jane Goodall (not the primatologist of the same name)is a fresh voice and very successfully evokes London in the mid 60s. One minor complaint: The lyrics to the song "Turn, Tirn, Turn," feature prominently throughout the book, and are repeatedly attributed to Bob Dylan. The song is, of course, not by Dylan but by Pete Seeger. This would have been an easy thing to check and correct. Sloppy. Most books in this field use either "today" or a setting in the future. This one stepped back in time. I was leery about it when I first realized what it was, but by the end I was caught up and couldn't figure out the killer. The ending was a surprise and that's always a plus when reading a mystery. Part of the challenge is seeing if you can figure out who the real bad guy is before the author tells you. On this one I didn't even come close. I very much enjoyed this book and also looked for others by this author. The overall premise of the book was interesting but the narration from the female perspective of a petulant, sometimes unprofessional senior police officer was irritating in the extreme. The tone of voice didn't help and all I could hear was a sulky/petulant teenager instead of a hardened professional, I would have been irritated with her as a colleague so had some sympathy with the rest of the team. Even so, the writer has promise, she just needs to give her female leads a bit more iron in their backbones - more Jane Tennyson! Nobody! Story is fine get a new narrator. Could not even get through the frst chapter. narration is so bad. he sucking her breath as she reads is totally unnerving. Really enjoyed this!! Gripping to the end and you get a real feel of the sixties. The only flaw is the narrators awful scottish accent. Captivated by history repeating itself. 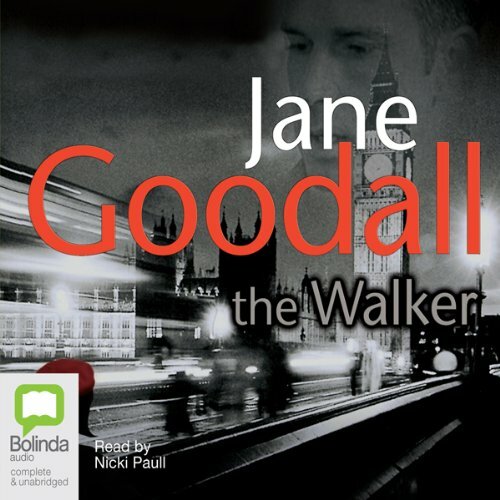 Jane Goodall's 1st of the Detective Briony Williams books captures many aspects of a London serial killer story with a "Ripper Twist" although in a more modern setting. The narrator takes you on a journey bringing the characters to life throughout. Gripped from beginning to end. One of the best mysteries I have read for a very long time, keeps you guessing right until the end.